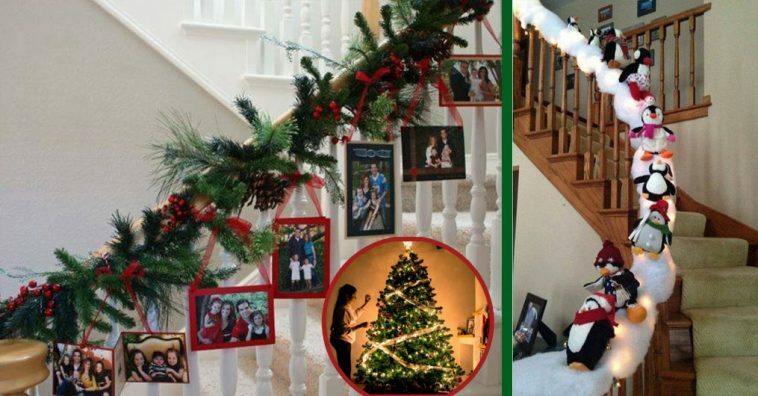 If you have a staircase in your home, you could be missing out on a great Christmas decorating opportunity. 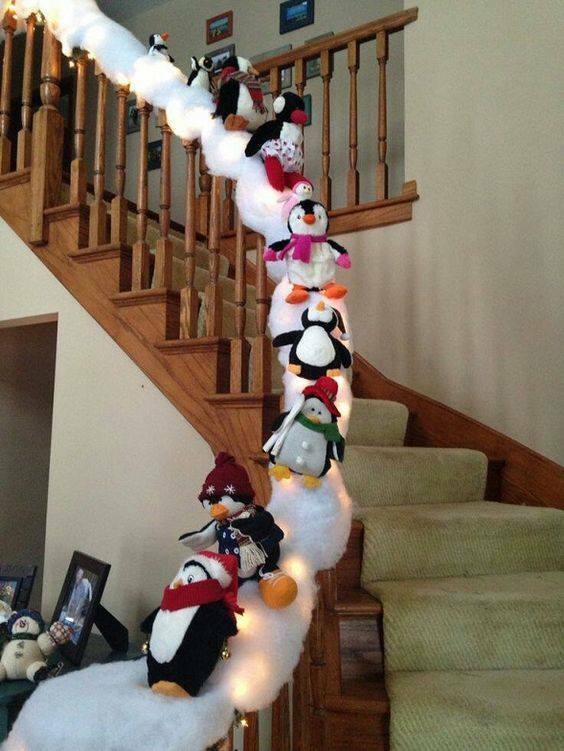 Perhaps you already cover your staircase with tinsel or fake snow, but there are so many other creative ideas out there. 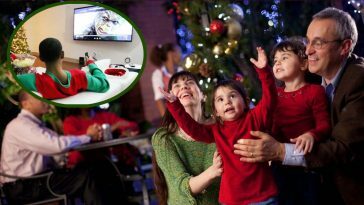 Here are some ideas to steal this Christmas to wow your holiday guests this year. 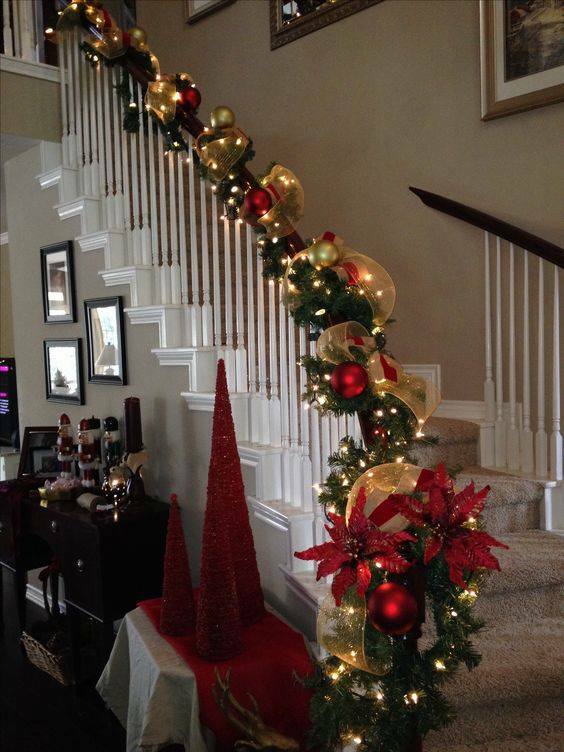 I wish I had 9 staircases in my house so I could do all of these! 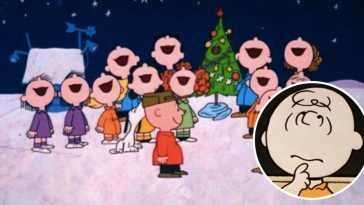 All you need is some fake snow and some adorable snow creatures to slide down the snowy staircase. 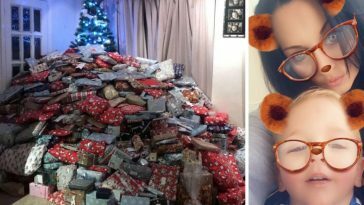 This should be pretty easy if you have some children or grandchildren to borrow stuffed animals from or purchase a bunch of penguins, polar bears, and other Christmas creatures. Do you have more ball ornaments than you know what to do with? 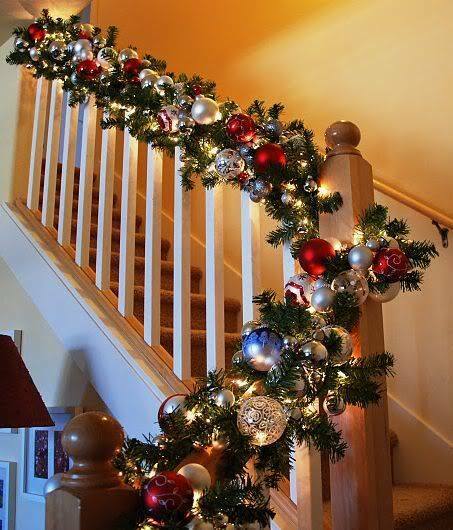 Instead of getting an extra tree, just use them to decorate your staircase. Add in some greenery and lights and it looks really beautiful. This is perfect for a classy Christmas party. Poinsettias are a classic flower to put out around the holidays. 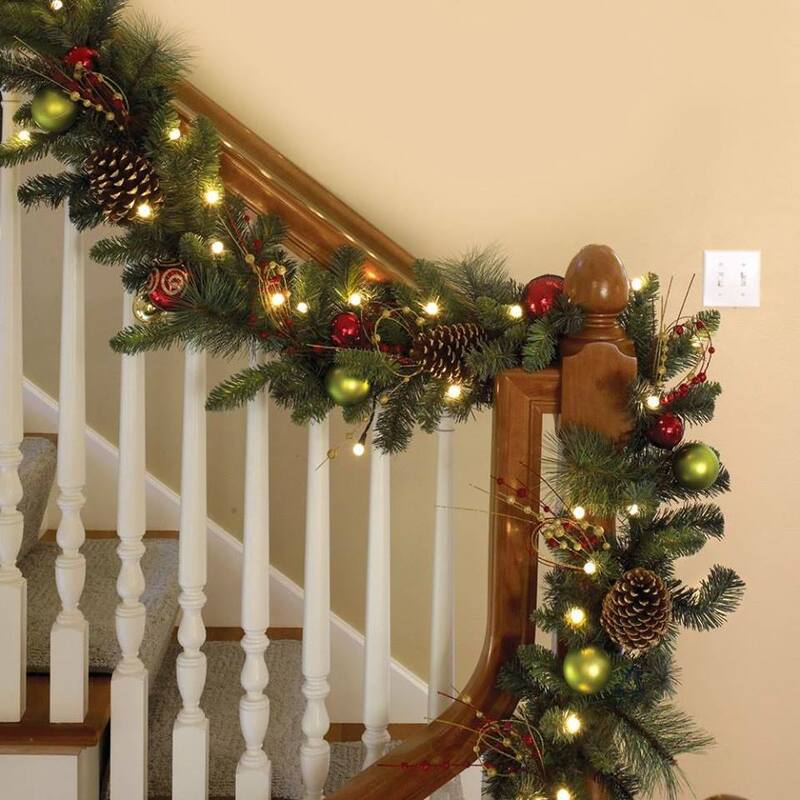 Add some greenery, poinsettias and other winter flowers, lights, and bows for another gorgeous staircase look. 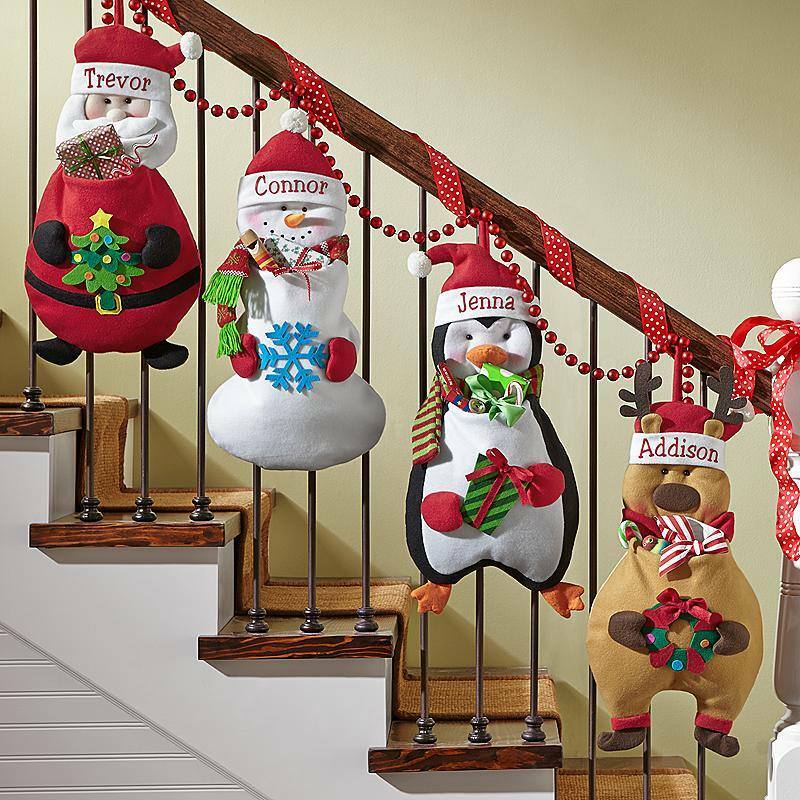 If you don’t have a fireplace or a good place to hang stockings, try hanging them on your staircase. 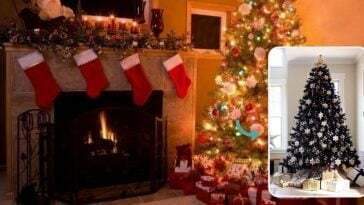 It will not only make the stairs look really cute, but it is a useful place to hang up those extra Christmas gifts for your family. Add some pine cones to the greenery for more of an outdoorsy look. 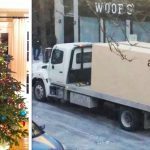 Feel free to either keep it more outdoorsy by only adding pine tree leaves, pine cones, and fake snow or add ornaments, lights, and other accessories. Read on to the next page for more ideas!